Medfield Animal Shelter News: Kelly reunited! 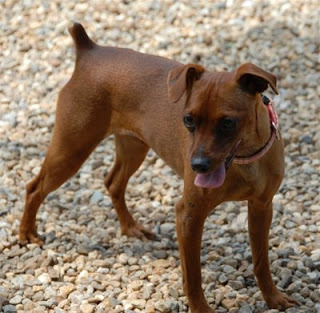 Well, the little Min Pin we had been calling Bambi is actually named Kelly and was claimed by her owner today! We had given up hope of reuniting her and were actively trying to place her in a new home. She was lost in Medway and the family had been searching for her there. They had called their ACO, but she was out sick and didn't call them to let them know she was at our shelter. Her owner was so relieved to learn she is safe and sound.